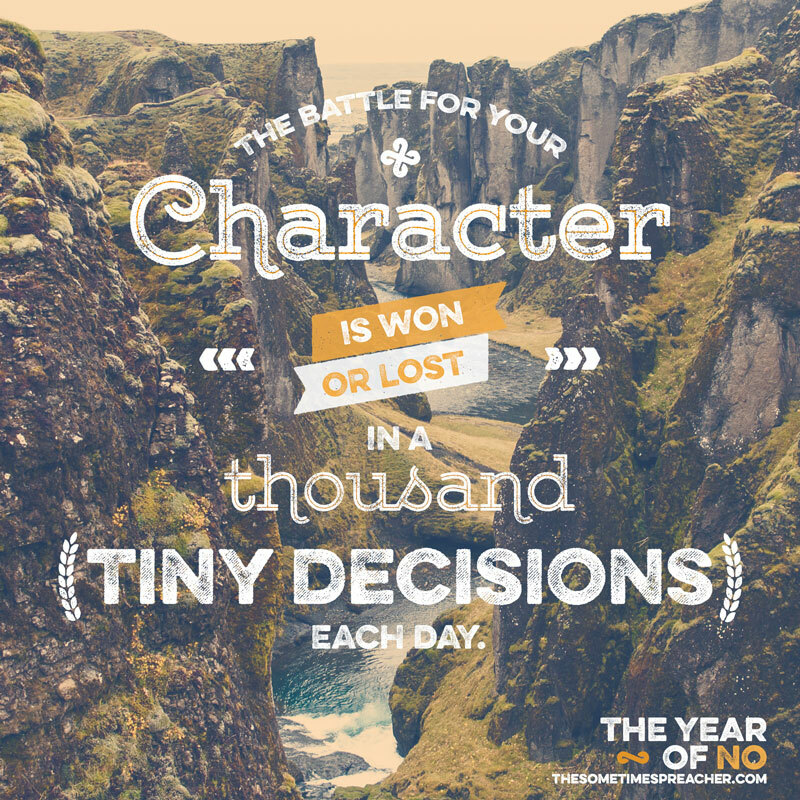 The Year of No is predicated on the idea that you can only overcome the temptation you are faced with right now. You can’t resist the sins and temptations that are going to face you in six months. 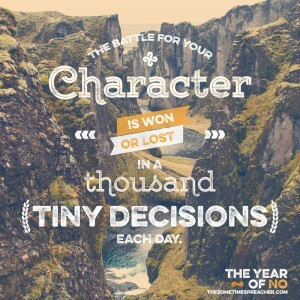 You can’t tackle your entire entitlement-mountain today, but you can take one step in the right direction. You can say “No” to what’s tempting you right now. Small acts of self-denial make room for larger acts of God’s kingdom. 1 Corinthians 10:13 says “No temptation has overtaken you except what is common to mankind. And God is faithful; he will not let you be tempted beyond what you can bear. But when you are tempted, he will also provide a way out so that you can endure it.” In my experience, the way out is simply to say, “No.” Granted, this isn’t always easy. We are tempted by things we desire, and most of us are not used to denying ourselves what we desire. We want what we want, and our culture has taught us that self-indulgence is not simply normative, but a moral good. I’m convinced that this is destructive, both to our souls and to our society, and the only way to right the wrongs of self-indulgence is through self-denial. As I wrote last year, small acts of self-denial make room for larger acts of God’s kingdom. Now it’s time to focus. Just as you can’t overcome today the sin you’ll be tempted by in the future, you can’t tackle every issue in your life all at once. You need to narrow the scope. There are a lot of areas in my life where I want to grow, but I can’t deal with them all at the same time. I need to focus on a few problem areas in order to experience real victory in my life. 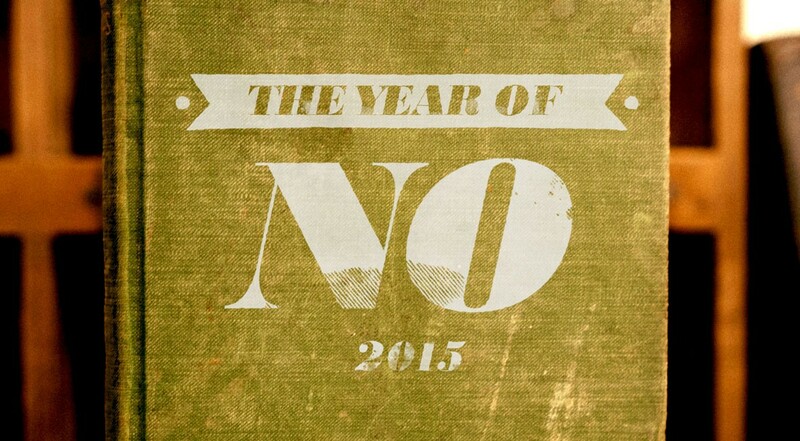 This means naming the two or three things you want to work on saying “No” to this year. The first step of self-denial is naming that which you feel entitled to or the sins to which you regularly succumb. As I said in the original Year of No post, “clarity is the first step toward victory.” We can only overcome that which we clearly and continually name.